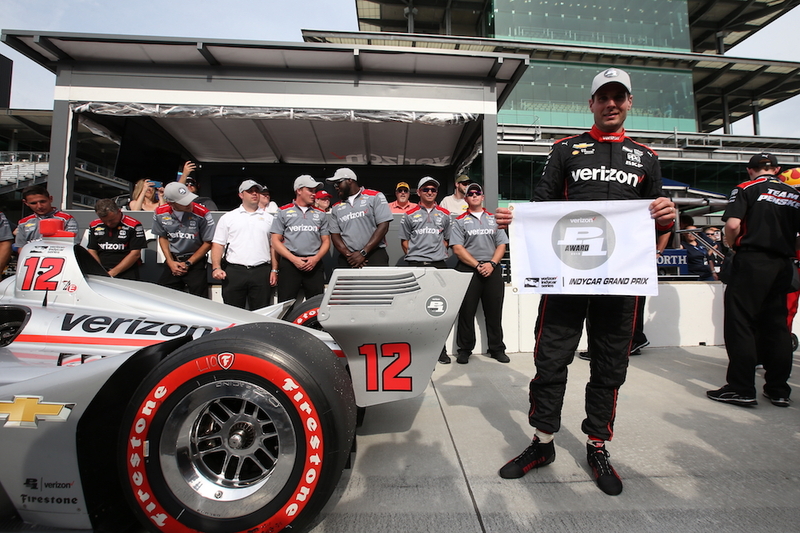 Team Penske and Will Power's Month of May is getting off to a great start at the Indianapolis Motor Speedway, where Power just defeated the hot temperatures and poor track conditions to place his Chevrolet-powered racer on pole position for tomorrow's IndyCar Grand Prix. While the rest of the field complained of poor grip and the lack of balance, the Australian simply got on with the program and recorded a lap time of 1:09.81, edging out SMP Racing's Robert Wickens and his Honda racing machine by less than a tenth of a second. Today's pole marks Power's third pole for the IndyCar Grand Prix, which is contested on the 2.4-mile, 14-turn road course that's surrounded by the Speedway's iconic oval. "We did have to dig deep," said Power at a press conference following the qualifying session. "I mean, that was everything I had. We made a downforce adjustment after the first round when we saw how fast the other guys were and kind of got close to them. And on used tires, the car was really good, so stoked, man, really, really stoked!" The impressive feat also marked the 51st pole position of Power's IndyCar career, which means he's now ahead of fellow Penske teammate Helio Castroneves, and just two behind the legendary A.J. Foyt. Mario Andretti is the all-time leader with 67 pole positions. 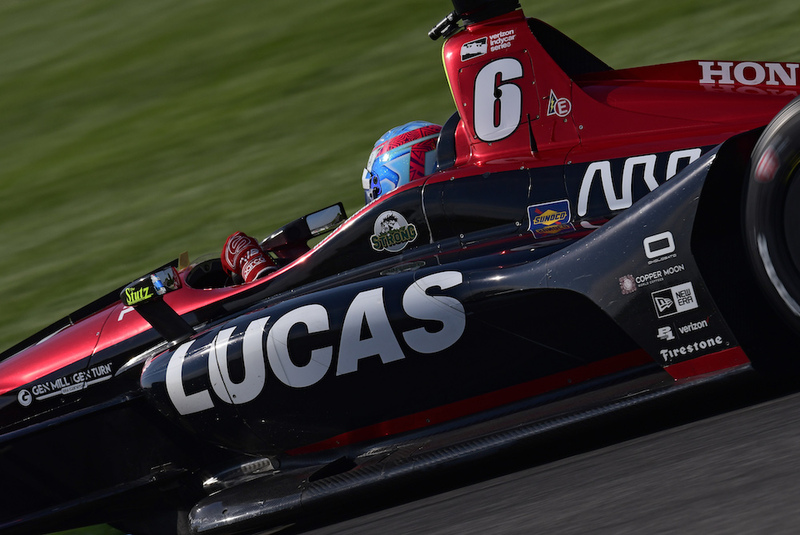 Dale Coyne Racing's Sebastien Bourdais placed his No. 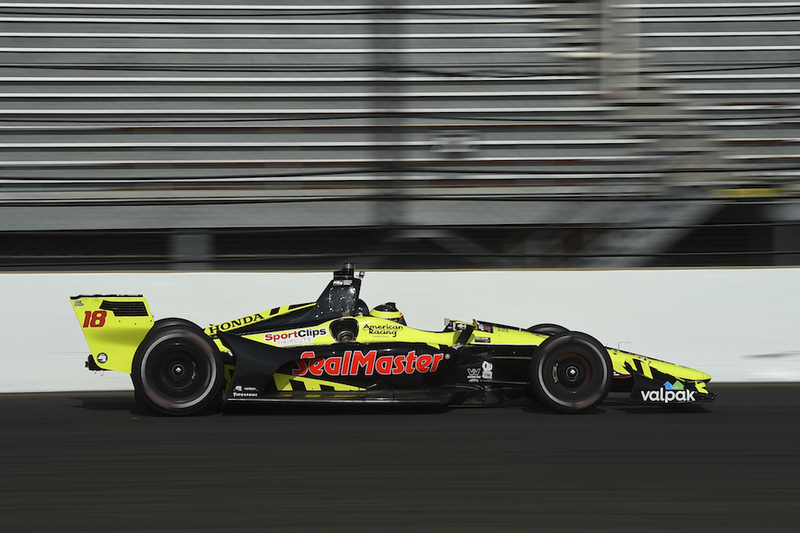 18 Team SealMaster Honda on the third spot of the grid, while SPM Racing's James Hinchcliffe and Ed Carpenter Racing's Jordan King wrapped up the top-five. "I'm a bit gutted with P2," Wickens said. "We're obviously in the front row, but when you lead the whole qualifying, you want to finish like that." "It was close. 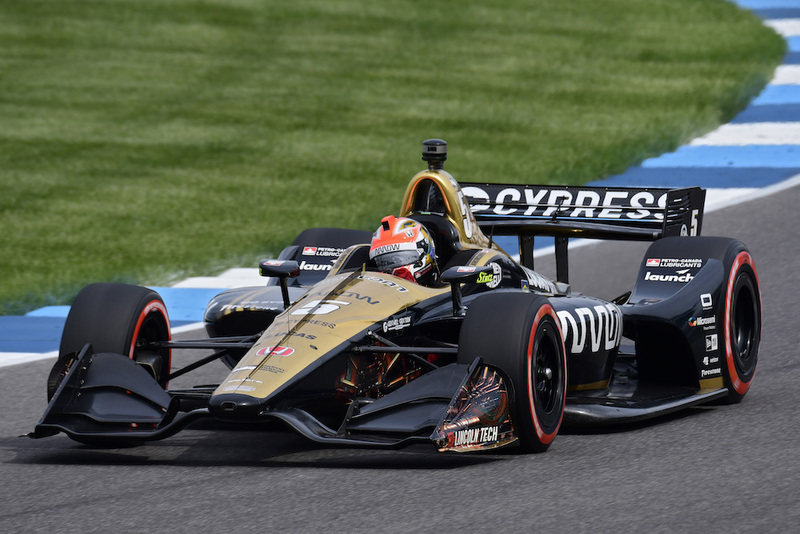 I ended up losing a few hundredths (of a second) in the end, but I can see why,” Wickens continued, “it wasn't the tidiest lap. You have to do the perfect job to get the pole here." Upon the completion of tomorrow's IndyCar Grand Prix, the Indianapolis Motor Speedway and all IndyCar drivers will officially be on high-speed, Indy 500-mode, ahead of the 102nd running of the 500-mile race on May 27.